I’m breaking the rules here. I don’t own ‘Recur’. Not yet. Normally, that would preclude me from choosing it for a meeting, although I have a get out of jail card (a physical copy) winging its way to me in the mail. But this is Album of the Year night, and 2013 has been very different for me, album-wise. We’re battening down the financial hatches at the moment and as a result I haven’t bought any records for 6 months. In total, and adding the five which I (very, very) gratefully received over the Christmas period to the 11 I got before the spending freeze, I’ve gained just 16 records released in 2013. But I’ve listened to many, many more through Spotify and so my 2013 has been rich in new music. I’ve given time to around 60 more albums, the vast majority of which I would not have taken a chance on had my only choice been to buy or forget. It seems appropriate therefore that one of these turned out to be my favourite of the year. There’s a dominant strain among them of largely abstract works, probably ‘electronic’ even if only technically, which have come to me from different angles, hit me in different places, and coalesced into something that feels like a significant shift in my tastes, or possibly my wants. Genre tags aren’t much use for these records, not to me at least. Alongside more graspable fayre such as Daniel Avery’s thrumming ‘Drone Logic’, Vatican Shadow’s portentous ’Remember Your Black Day’ and Forest Swords shambling ‘Engravings’, the most fascinating and moving of this clutch are closer to something I might lazily, naively call ‘contemporary classical’, but again, that’s hopelessly wide of the mark. But ‘electronica’ doesn’t really suggest anything that they sound like. They sure as hell aren’t ‘dance music’. Labels aside, albums by Tim Hecker, Oneohtrix Point Never and The Haxan Cloak have been the ones which have caught my attention and my imagination and have come to fill a gap, a need, I barely knew I had. One of these, the one which made most impact on me, was ‘Recur’ by Bristol duo emptyset (it seems that the lower case ‘e’ is their preferred usage). I heard a single track, the pummelling ‘Fragment’, on a Bleep podcast. Following up I found a few reviews, but without the opportunity to grab the album and listen to it properly offline it would have slipped into the growing, ever shifting morass of new references. But I did grab it, played it at work then played it in the car and soon it was almost all I was playing. emptyset describe themselves as a ‘production project’ and that seems as good a bracket as any. Interviews with them seem to support the suggestion that they are as much sound artists as music makers. Their previous works have been a little more ‘ambient’ than ‘Recur’ although I use the term advisedly. If those works were ambient in the literal sense, you wouldn’t want to be confined in the space they represented. They have previously recorded works live in mines, power stations and mansions, using sound as a pressurising force to interact with and even to resonate the buildings. Their works which don’t actually utilise physical spaces still sound like indoor firing ranges suffused with toxic fog. ‘Recur’ is tighter, more focussed than the works that preceded it. Where these were claustrophobic and overwhelming yet often blurred at the edges, ‘Recur’ is laceratingly sharp and viciously direct. To call the music ’stripped down’ would be to do it another labelling disservice. This is what’s left after removing music. No melody (the closest it gets is the repeated register shift that runs through ‘Fragment’), no harmony (there is no opportunity for it to arise), no beats (there’s nothing you would recognise as such) and, essentially, anything resembling an human-played instrument. Once stripped away, it seems all that remains is a throbbing, pulsing, spasming machine which is about to eat you alive. If any image comes to mind whilst listening to ‘Recur’ it is of vast, unknowable alien insects stirring, their body parts grating and whirring, about to either strike or take flight. I’ve never heard anything like it, and no record has had such a deep and repeated effect on me this year. ‘Recur’s 9 relatively short tracks, which span 35 minutes in total, are harsh, liberating, intoxicating, mind-altering. Its concussive percussion leads to a blissful percussive concussion. Through all this, the sound, the tracks, the accumulation, is always challenging but never, to my ears at least, punishing, despite its pure, channeled force. I’ve used records in lots of ways and in lots of situations this year, but ‘Recur’ is the one I’ve reached for most and been most unable to ignore whenever I’ve put it on. It feels like a breakthrough, I’m just not sure I want to know into where. 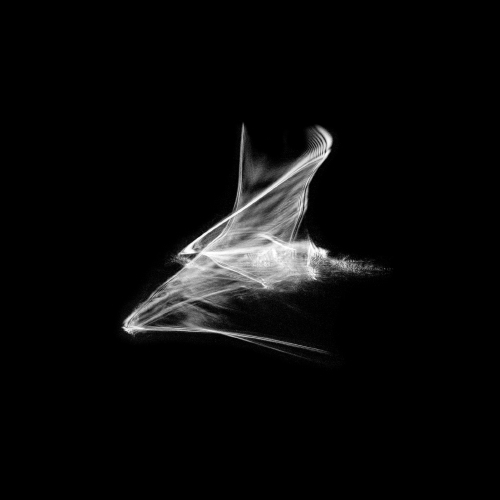 Whether it was growing familiarity with their aesthetic, or deliberate sequencing on emptyset’s part, I found the second half or so of the album more structured and easier to follow; some parts weren’t a million miles away from the more abstract parts of Holden’s The Inheritors from last year, albeit shorn of any dancefloor lineage and melodicism. These parts, which perhaps veered close to drone or dark ambient, felt more enjoyable to me, if ‘enjoyable’ is the right word to use. I’m intrigued, given the very abstract, sound-art nature of the music contained within, as to why emptyset deigned to parcel Recur up into “pop song” sized capsules of 3-4 minutes; it seems faintly arbitrary and oxymoronic, albeit intriguing. I’ve not really got any idea of whether or how much I enjoyed this, or would enjoy it if I went back to it. I’m very interested in Rob’s strong reaction to it; I’ve been exploring a lot of similar, post-electronic, quasi-classical, experimental music over the last year, much of it very minimal, but none of it has been this far out, and the things that have moved or fascinated me the most have usually been very… phenomenologically beautiful… which Recur almost deliberately isn’t. Not that it’s horrible; just strange. But what does strange mean, these days? Tom Listened: Of the four of us, Rob is by far the most likely to bring something really challenging. As in challenging your notion of what music actually is, what it’s for and what makes it good or bad. Personally, I am drawn to acts that manage to bend the light rather than obscure it completely and some of Rob’s more demanding offerings have elicited conversations/ruminations recalling The Emperor’s New Clothes. But there was none of that when we listened to emptyset. Maybe the reason for this is that what emptyset do is barely music at all. Maybe it’s because it sounds so alien that we had no idea at all how these sounds/noises are made. Maybe it was because we were all so fixated on Graham wobbling his way across the living room in his armchair as his subwoofer unleashed merry hell (please note, Graham was being wobbled by the chair – I am in no way insinuating that he is inherently wobbly). On the night, I sort of enjoyed the experience and can see why Rob likes it so much but, for now, I’ll happily retreat back to the light benders in my collection. Afterword: A few days later I was in the shed looking for something or other when I suddenly caught myself listening intently to the sound of the freezer. Sounded pretty good Rob, maybe you should save your pennies in future and come and listen to our household appliances instead. Graham hid in the corner: Bloody hell. Not since the comparative “Sunny Delight” of Sunn o’ my word have I have been so intimidated by a piece of music (was it?) Weirdly engaging while it was on, but wanted it to be over. Will shortly be checking structural integrity of arm chair by subwoofer and as reviews go that’s best I can offer, but fitting. By the way for all those looking for cheap thrill or crash diet, my chair by the sub woofer is available for hen parties and constipation and Rob’s choice recommended listening. But actually I’d like to try it again from behind the sofa, this time!